I took a test drive of Mahindra Verito D4 in Mumbai on 30th May 2011 and here are my findings: It’s all Mahindra now and they have removed Renault name and logo from the car. It has Mahindra’s logo in the front, rear and on the center of steering wheel. No car in this category can beat the space Verito has. It has ample headroom, legroom and shoulder space in the front and rear. Driving in Mumbai city traffic was really easy because of lots of driving leg space. Three adults can sit comfortably in the rear seat and they have one headrest for each of them making long journeys more relaxed. Power window controls for front windows are on the centre console and for rear windows are in middle (behind the hand brake) but they are easily accessible to operate. A/C is powerful enough and the passengers at rear felt the cold air even at 2. Wipers turn from right to left looked odd to me. I felt the power steering was hard but the dealer informed me that it’s because the car is new and PDI is not done. It will improve after that. Otherwise the ride quality was really good, didn't felt jerks while driving. Braking in traffic was very controlled. Its spacious, runs well, suspensions are good and there is no one who has can beat it in its price segment. Overall it was a comfortable ride in Mumbai traffic. It’s a good attempt by Mahindra to get rid of Logan's taxi image. Mahindra will have to provide excellent after sales service if they want to make this car successful and not another taxi. 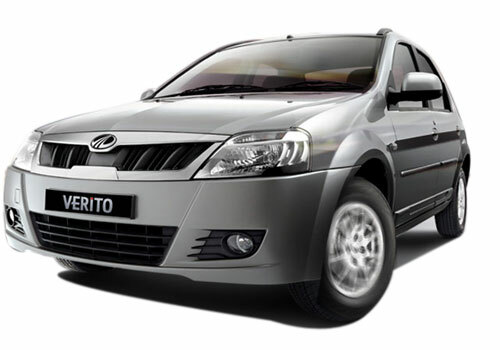 Mahindra Verito : The Best in Fuel Economy ! !